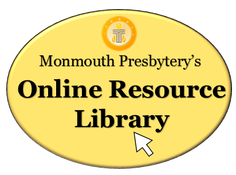 Click here to browse Children's Education Resources from our Online Resource Library! The Children's Resource section is very large as there are a lot of wonderful resources that aid in the education and development of children. We expect this section to be updated frequently, so please check back often for new resources! The Children's section includes resources for ages 0 through 13 years old, as well as for those who teach, parent, or are caregivers of children. The Genesis Center also considers the "tween" age group to be a part of the Children's section (however, for older children/tweens, many of our youth resources may be helpful). Author Sybil MacBeth - Why Pray in Color? Building Faith is a free website that offers practical resources for faith formation with children, youth and adults. Published by the Center for the Ministry of Teaching at Virginia Theological Seminary. From Ministry-to-Children these devotions are aimed at summer activities but can be adapted for year round devotions. From Ministry-to-Children, these non-denominational, sequence story cards are printable and free to use. A website with a variety of printable coloring pages and crafts based on Bible Stories. Please note: This website is not Reformed, and has a lot of ads. A great website with 45 popular Bible stories rewritten for dramatic storytelling to children. They include scripture references, discussion questions, mission ideas, games and more. Written by Doris Day. Free to download and use in non-commercial settings. Please note: these resources are non-denominational. A great website for fans of Narnia. Find resources and information about the popular series by C.S. Lewis. From the Presbyterian Mission Agency these resource include prayers for children and with children. This website is an online library with secular children's stories available to read online. Also includes activities.